What is fitness anyway? Being mental! Sometimes, in the weirdest of places, even people I have never met before may blurt out uncontrollably “I want to be fit like you”. Interestingly enough, when I chat with new fitness clients who have already been exercising regularly they are usually unable to tell me what is meant by fitness. Their own interpretation of fitness, a fair starting point of an answer is never the whole answer. “To look toned”. “To be lean”. “To be muscular”. “To run fast”. “To get rid of belly fat”. None of these on their own completes the answer to “What is fitness?”. Going beyond our physical bodies, what interests me more is our mental fitness and the relationship between physical and mental health. In answering what physical fitness means, we can see neat parallels in the realm of mental fitness and, going further, even in terms of the operational fitness of an organization e.g. a company, a special interests club, an NGO. Muscular strength, the ability to exert an appropriately large physical force has a parallel in our thoughts – are you mentally strong enough to handle difficult situations or solve tough problems? Cardiorespiratory endurance, is the ability of your heart, lungs and their associated systems to deliver oxygen to the working muscles for a sustained period of time. This too has its parallel for our mind. To stay focused on the same mental task for long periods of time does not necessarily come equally easy to everyone. Muscular endurance, the ability of the specific muscles required for a task to continue their work for a sustained period of time, has a similar mental equivalent. Flexibility in your body needs to be such that you can perform all the tasks or feats you are expected to perform with grace and without pain. In your thoughts and decisions too you need to have an optimal degree of flexibility to reach solutions and execute plans effectively either when working alone or when teaming up with others. Together, all these measures of fitness need to translate into better functional fitness – the ability to conduct all the daily activities of living that one wishes to do. It should be clear then that a size zero catwalk model is not fit if she is not strong enough to lift her vanity case up a flight of stairs. A beefed up gym rat who cannot run more than a mile is also missing something in his fitness. And so is a distance runner who is unable to touch his toes without pain or perform a single pullup. We often see such people in everyday life and think of them as being fit, but are they necessarily so? Each of these have some fitness goal that they perform quite well in, but perhaps martial artists or gymnasts are closer to an optimal balance between the various measures of fitness. In fact they also display proficiency in additional measures of fitness such as balance, power, coordination and agility. A similar optimal balance is desired in our mental state. If you can focus on tough problems but not for long, will you go far? If you can focus on problems for long periods of time but your thoughts are more often negative than constructive, will you get to where you want? If you have positive thoughts, but are inflexible in your beliefs, will your mind be open to new solutions to previously unseen problems, or work well with others when a coordinated effort is needed? In society, it is the case that there are large rewards possible for those who are extreme outliers in any one of the equivalent fitness measures for the mind. But, unless you are a chess grandmaster or a rocket scientist a more balanced approach to mental fitness will reap bigger rewards over a lifetime. The next time you ask yourself if you are fit, hopefully you will have considered at least the 5 pillars instead of giving a simple “yes” or “no” answer. Similarly, when “planning to get fitter” I hope you will consider at least these 5 pillars. And remember, living your life ahead, looking for balance in every domain, does not mean having to settle for second best. Instead, pushing one’s performance in each sub-dimension is what will lead to higher levels of excellence overall. Central to keeping a track on all these is, of course, discipline, something I touched upon when I started this series of articles. Be fit! Body and mind! Mind and body! Go physical! Be mental! Next Being a Pacer, Choosing a Pacer – A Guide! Puru, nice connect between physical and mental fitness! It is difficult to get physically fit if you are not mentally fit first but can one be mentally fit and not physically fit? 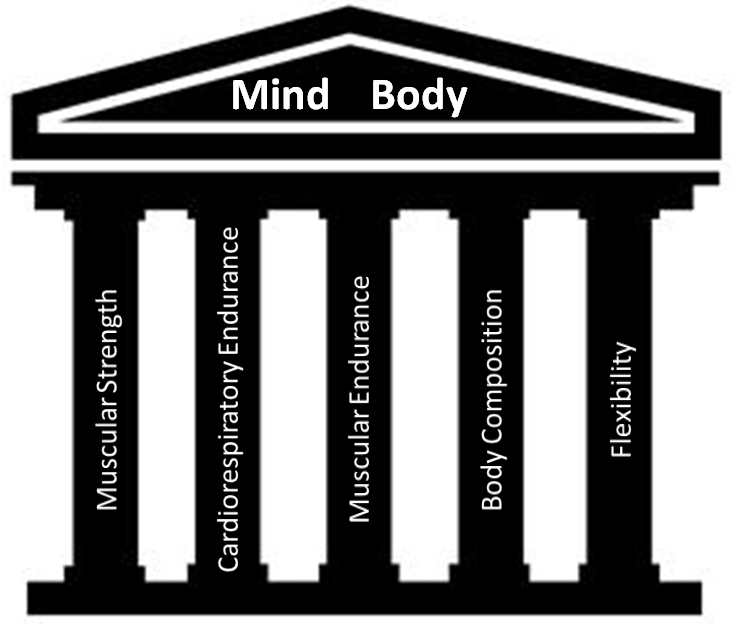 I completely agree about the five pillars of fitness. A fit person will have the best combination of these pillars. I also loved the way you have connected these five components with the mental aspect of our being. Yoga keeps talking about this mind – body union all the time. One blog is leading me to another! Came here from the BS CRAP blog. Now moving to the Discipline blog! Engaging; difficult to stop reading!